As the Director of Education and Spine Fellowship Training in the Spine Foundation, our mission begins with the understanding that great scientific advancement, ground-breaking intellectuals and superior-trained surgeons are not made in an instant. The road of a spine surgeon, from beginning to end, is constantly influenced by mentorship training and education obtained from clinical experience. 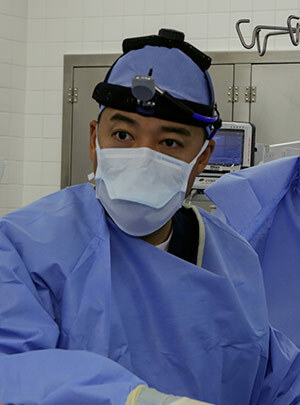 The ability to nurture a young surgeon to become equipped with the mind of a compassionate physician and the hands of a technical virtuoso are the ultimate goals sought by the Spine Foundation Fellowship Training program. In the period on one year, the demand and sacrifices asked upon trainees to work feverishly and continuously on all aspects of their profession requires the utmost commitment both emotionally and professionally. During the year, the fellow trainee is exposed to three major fields of training: Clinical/Patient experience, Surgical Operative experience, and Research and Education. The Clinical rotation is a mentorship and apprentice arrangement where the Fellow spends every day and night in direct observation and interaction with supervising physicians. From outpatient clinical examination and preoperative interactions to inpatient immediate postoperative care to long-term outpatient follow-up; the fellow is exposed and understands the full surgeon-patient relationship. The Surgical Operative training is a daily exposure and hands-on experience where the Fellow understands the technical details and surgical acumen that is required to achieve superior clinical results. 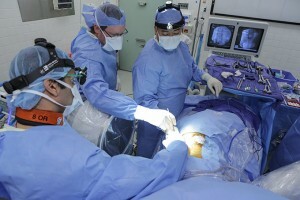 Finally, the Research and Education component involves having the Fellow research and publish novel and groundbreaking data that positively impacts the general field of Spine Surgery. In addition, didactic conferences and academic lessons are given on the review of the entire library of spinal research and scientific articles. At the end of one year, the understanding is that these newly minted fellowship-trained spine surgeons will be the future leaders and “game-changers” of our medical field. A great investment is made on these individuals to develop and advance their careers so that they may continue to provide the best medical care to patients and their society. It is the vision of the Spine Foundation that we train each generation of surgeons to continue to innovate, discover and advance the field of spine surgery so as to leave a legacy of quality individuals that will carry this vision into the future. Our commitment is focused on advancing the scope of knowledge and expertise in the progressive treatment of neurological, musculoskeletal, and spinal diseases through innovative research, technology leadership and education of future physician and surgeon scientists dedicated to the optimal and compassionate treatment of patients to improve their quality of life.